Right-click on a message and click Delete. 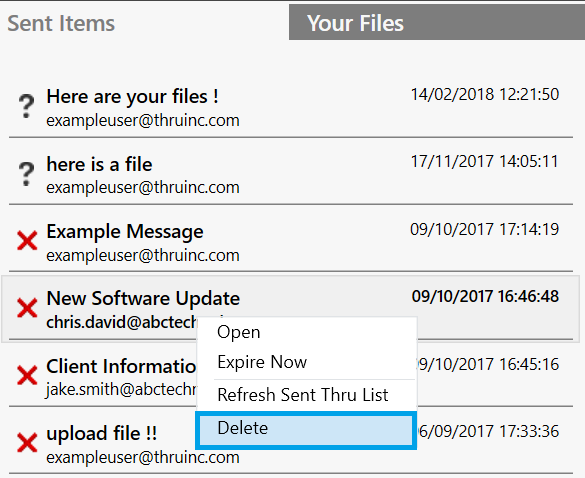 Warning : Deleting a message from Sent Items will permanently delete the message and all attachments from the Thru server. This will cause all files to not be downloadable by recipients. You will be asked if you want to permanently delete a message every time you attempt a deletion.